Ooh, kako zelo je lepa! Beautiful and elegant pine cone card! I love this fresh green color too! This is stunning! I've got to get this set out! That's a beautiful card, really elegant design ! Super beautiful card! Thanks for the inspiration! Very pretty. I like the simple elegance. The pinecones are so realistic, amazing! Such a beautifully elegant card!!! Love the layering on the branches! What a Super fun and beautiful card! Lovely and elegant. Thanks for the inspiration. Simply elegant. I love it. Beautiful card. Love the script font on the sentiment. 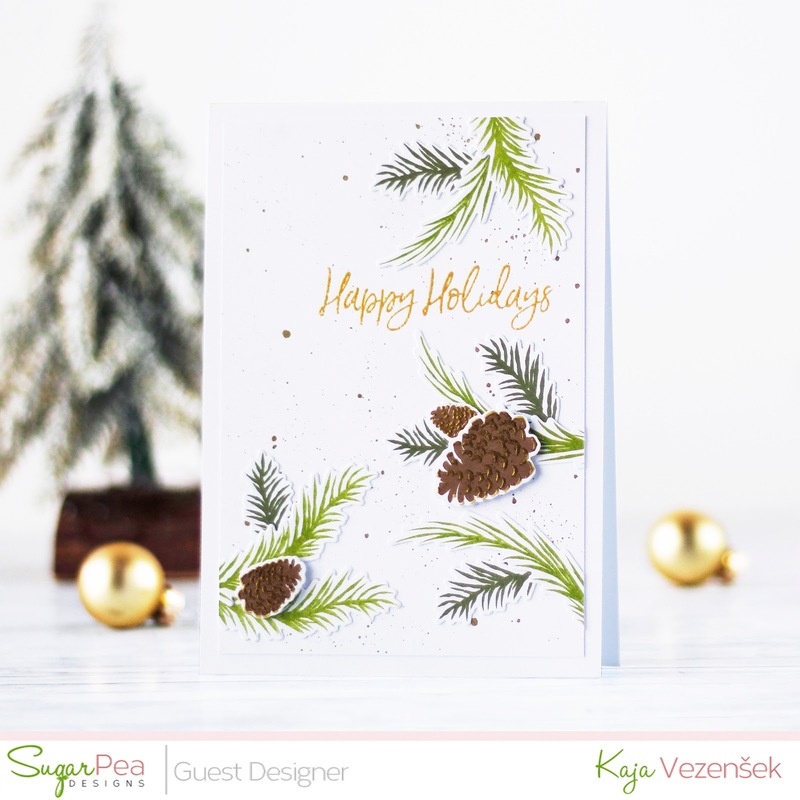 Elegant card and so refreshing with all the white space! I think you achieved your goal; this is definitely simple AND elegant! I love what you did with the pine boughs! Fantastic card! Love the paint splatter.